Slice ham. Peel and grate horseradish. Mix it with sour cream, salt, sugar, and vinegar. 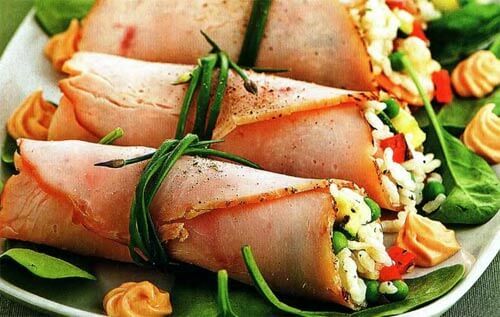 Grease slices of ham with this mass and roll them. Decorate with spring onion and lettuce.